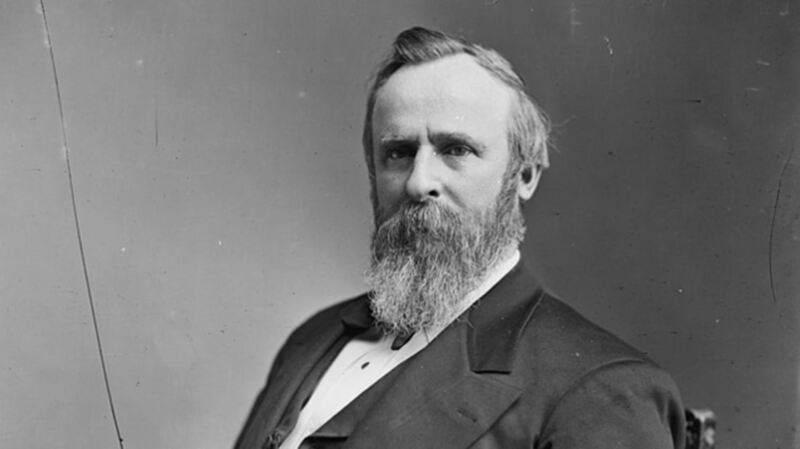 Rutherford B. Hayes: The National Hero of ... Paraguay? In Rutherford B. Hayes' hometown of Delaware, Ohio, there's a memorial to the late U.S. president; it's a plaque that marks his birthplace, which is now a gas station. In Paraguay, people might find this fact horribly offensive. Perhaps that's because the country is littered with Hayes memorials—from statues to schools to streets named in his honor. There's even a city in Paraguay called Villa Hayes, which lies in the middle of a province called Presidente Hayes, which is roughly the size of South Carolina. What did Rutherford do to deserve all this? From 1864 to 1870, Paraguay was engaged in one of the bloodiest wars in the history of the Americas—the War of the Triple Alliance. Facing the combined forces of Argentina, Brazil, and Uruguay, the people of Paraguay were mercilessly defeated. Two-thirds of the country's population died. But even after the war ended, Argentina and Paraguay continued to scuffle over the Chaco, a huge tract of land in the southwest region of Paraguay. Unable to come to a resolution, diplomats from both countries traveled to Washington, D.C., so that President Hayes could arbitrate the debate. As you've probably guessed, Hayes decided in favor of Paraguay—and he's been a national hero ever since. Once every 50 years, Villa Hayes hosts a huge festival in his honor. The next one is in 2028, so mark your calendars.